One of the key benefits Provision ProfitTime offers dealers is the ability to appraise an auction or trade-in vehicle, enter a potential purchase price and see, instantly, what kind of investment potential the vehicle offers as a retail unit. ProfitTime reveals the investment value by serving up investment scores and precious metal designations (1-3, Bronze; 4-6, Silver; 7-9, Gold; and 10-12, Platinum). The scores and designations are derived from combining each vehicle’s like-mine Market Days Supply, Cost to Market, recent sales volumes and other market factors. In addition, ProfitTime shows the score in the context of your inventory needs (e.g., the Strategy Action) and the unit’s potential appeal in your market (e.g., the Stocking Letter Grade (A-F). As we discussed in my previous post, these metrics offer a powerful trifecta that helps dealers sharpen their appraisals and related processes to bring in auction and trade-in vehicles for the right money. But the trifecta also creates a temptation. I’m seeing some instances where dealers are using the ProfitTime metrics to engineer profit-positive outcomes on vehicles. 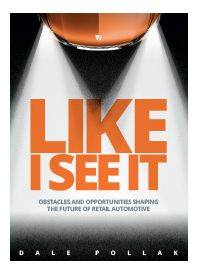 The efforts can skew the vehicle’s true investment value and hurt your retail objectives. The temptation, and the problems it can create, are most profound with trade-in vehicles. For example, an appraiser may enter a potential purchase price on a trade-in vehicle—say, $7,500. The appraiser would then see the vehicle gets a ProfitTime score of 3 and a Bronze designation. The appraiser might also note that the vehicle’s market appeal is OK (a C grade) and the used vehicle department needs three more of the same/similar units (a +3 Strategy Action). First, the appraiser’s interest in improving the vehicle’s investment value may result in not acquiring a trade-in, which can hurt the retail objectives for both the new and used vehicle departments. After all, a better investment score doesn’t do you much good if you don’t get the vehicle. Second, the appraiser would seem to be side-stepping the dealership’s approved valuation process. Theoretically, the dealership has developed a standardized way to put a number on vehicles to achieve some level of valuation consistency among appraisers. When an appraiser decides to self-engineer a vehicle’s investment value, it undermines valuation consistency and opens the door for justifications that often don’t stand in light of the vehicle’s true market position and your retail objectives. Now, to be clear, I do believe appraisers should have some latitude to improve a vehicle’s investment value. But I think appraisers should limit this discretion to auction purchases. With these vehicles, it’s truly in your best interests to achieve the lowest purchase price and best investment value possible, given the typically higher costs of auction acquisitions. In addition, if you lose an auction vehicle because you were trying to pay less and make it a better investment, you aren’t risking a retail deal—you’re just honing the blade for the next profit-smart auction purchase.